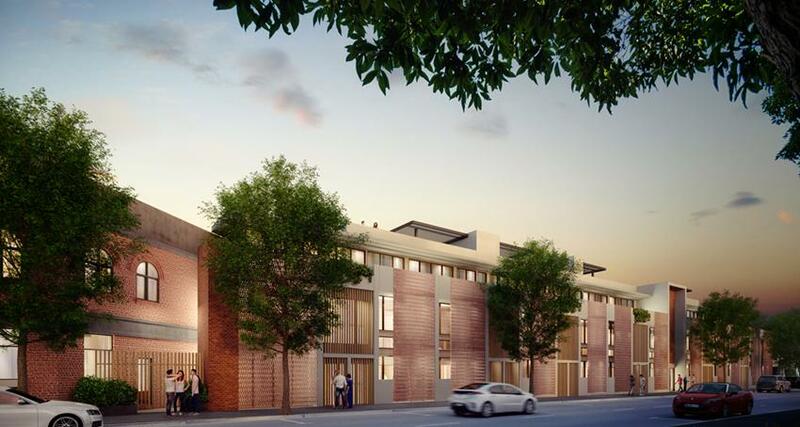 New Terraces Have Been "Apartment-ised"
Innovative inner-city developer LivStyle has brought the much-loved terrace into the 21st Century by incorporating features of a modern apartment. Its Teracota Terraces at Alexandria have practical entertaining areas, a media nook, a private courtyard, expansive windows and sliding doors, a self-contained laundry, substantial storage options and basement car parking with direct internal access. While paying homage to the traditional look of a terrace, the 12 three-bedroom Teracota Terraces at 2-24 Mitchell Road are large, ranging from 160sqm to 233sqm internally. They have high ceilings, cross-flow ventilation, copious natural light, sumptuous inclusions, high-tech features and good security. Prices start at $1.6M, and LIVstyle expects to begin construction before year’s end. Terraces have been in Australia since the 1830s, embracing such styles as Georgian, Victorian and Edwardian. As enchanting are they are to look at, living in a traditional terrace involves compromises. Rooms are cramped and stuffy, circulation is stifled, staircases are steep, balconies are impractical, and storage and entertaining options are limited, while maintenance is ongoing. The 1970s introduced the townhouse to Australia, which overcame most of the internal space issues but lacked the street presence of a terrace. Diversity of space: Most apartments can be seen and understood in as little as one glance. The Teracota Terraceshave flexible spaces to cater for today’s lifestyle. 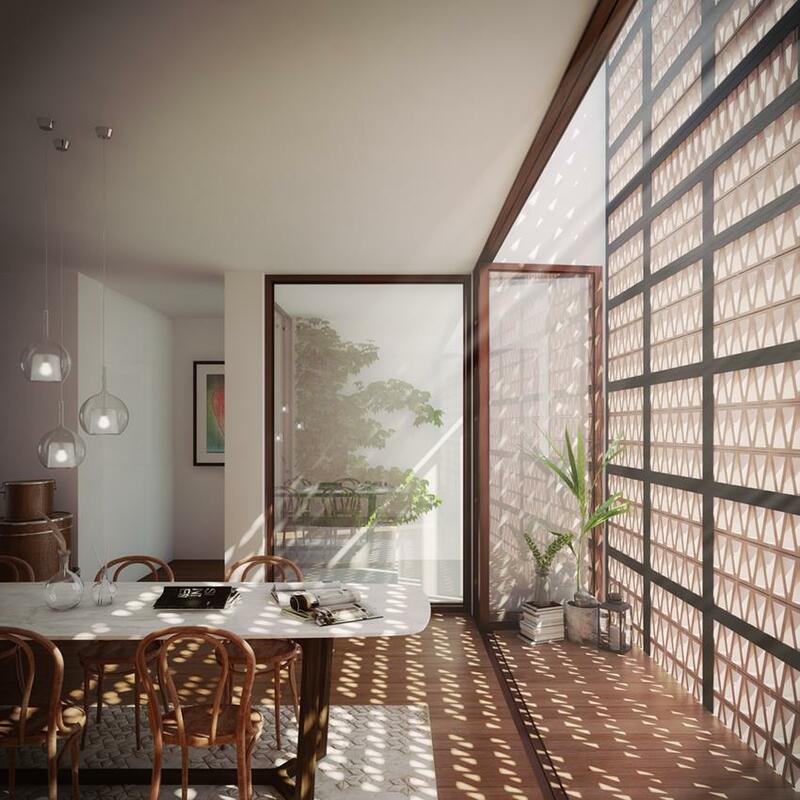 Floor-to ceiling, wall-to-wall glass doors slide or concertina to open up living areas to the balconies, which are framed by terracotta brickwork. Peace and privacy: There is no-one living above or below, and side walls are double skinned, maximising lateral acoustic separation. Natural light and solar access: Two voids bring natural light, and a sense of drama, into the living spaces, while balconies to the east and west allow residents to follow the sun and enjoy the views. 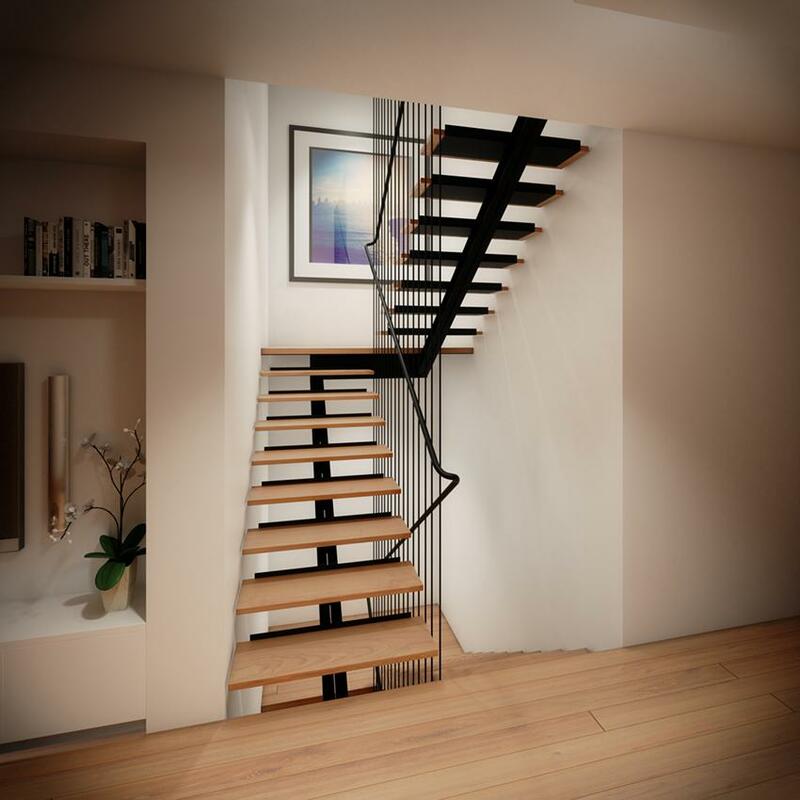 Parking: The basement can securely house two cars, with an internal staircase connecting directly to the upper levels. Storage: There is a dedicated storage room in the basement, and the overall level of storage on the two upper levels is much greater than an apartment or a traditional terrace. Street presence: Unlike an apartment, the Teracota Terraces have a separate entity from the street, with a mailbox and front balcony, establishing a sense of connection with the historic neighbourhood. LIVstyle director Aaron Tippett describes the Teracota Terraces as a sophisticated blend of traditional charm with modern conveniences. “Teracota Terraces incorporate ideas that make for an enriched lifestyle, providing a flexibility of spaces that should ensure medium-density housing is more appealing to a wider range of people,” he said. “They are perfect for business couples who need easy connection to transport, and who like to entertain and have friends stay over. “Many ‘empty nesters’ are keen to move into a lively location such as Alexandria but baulk at the thought of multi-unit complexes where noise can be an issue and privacy can be compromised. 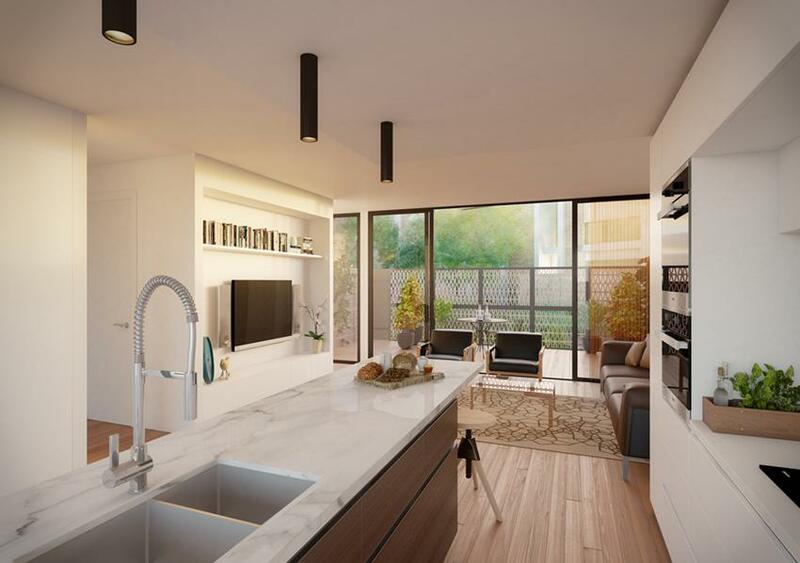 Teracota Terraces offer them an alternative housing solution,” said Mr Tippett, whose company specialises in boutique inner-city projects such as Verde, The Parker Residences, Astor and Omega. 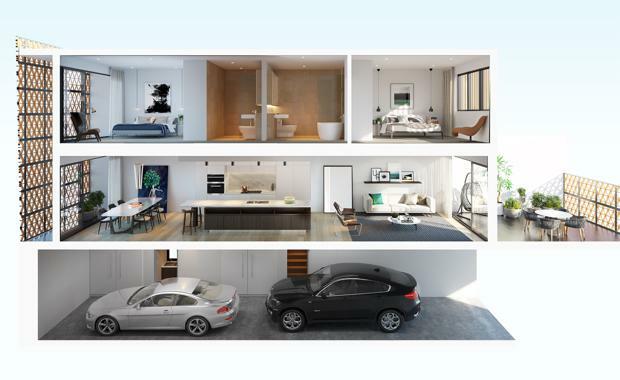 Interiors at Teracota Terraces will be textured, warm and contemporary, with high ceilings, blackbutt flooring in all living areas, thick pile wool carpets in bedrooms, and double glazed windows throughout. Kitchens will be streamlined with thick CaesarStone benchtops, smoked ash timber veneer accents and Miele appliances, including a double-door integrated fridge. Master bathrooms will be finished in limestone, with a freestanding bath, frameless glass shower screen and high-quality Parisi tapware. The generous-size rooms and full-height glazing accentuate the feeling of spaciousness and allow residents to entertain in style. Located within four kilometres of the Sydney GPO, Alexandria has undergone a residential renaissance over the past two decades, and the suburb’s cachet continues to rise. The dynamic community is on the cusp of Green Square – Australia’s largest urban renewal project – and just minutes to the Australian Technology Park and Sydney Airport. It has beautiful parklands, excellent schools, innovative dining options, exciting art galleries and eclectic shopping options“Alexandria led the residential renaissance of Sydney’s former industrial inner suburbs around 20 years ago,” said property veteran Peter Shield from Ray White Erskineville.